Beautiful flowers. Fresh vegetables. Colorful hanging baskets. It’s time for the Horticulture Club spring plant sale. Warm weather means spring planting and gardening. And with the offerings grown by Tidewater Community College’s Greenhouse Production II class, it is time to get started. This semester proved to be a great growing season despite cloudy skies and rainy weather. “We usually have to use multiple applications of growth regulators to keep the plants in check, but not so this year,” said Amanda Verdin, TCC’s greenhouse manager. Every semester, horticulture students learn about plant production in the hands-on laboratories on the Chesapeake Campus. Three greenhouses protect plants and provide the growing setting in every season. 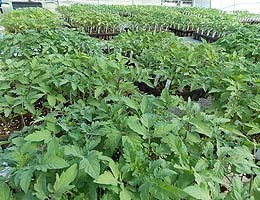 The Greenhouse Production class focuses on proper techniques for planting, fertilizing and documenting the growing season for selected plants. In addition to flowering plants, students grew hybrid tomatoes, a variety of herbs, cucumbers, eggplant, peppers and squash. 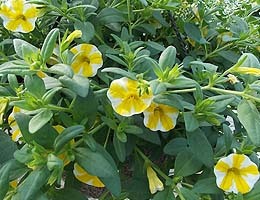 Mix the TCC homemade formula for pests on most plants. Take a 16-ounce spray bottle and fill 3/4 with water. Add a few squirts of liquid dish detergent. Then add a few capfuls of rubbing alcohol. Fill the bottle the rest of the way with water and replace the top. Shake well. 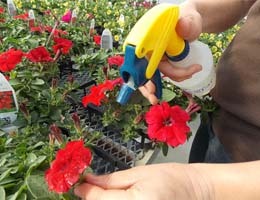 Spray as needed on vegetables, houseplants and blooming bedding plants to get rid of pests. This solution is safe for humans and pets.